There is something very ancient, even primal, about working with ceramics and the process of earth and fire. As much as I appreciate the advent of computerized controls on modern electric kilns and the ability to precisely control the firing profile, with the resulting high degree of predictability in the outcome of one’s work, I still like the slightly older “kiln sitter” technology which my kiln uses. With this purely thermal/mechanical cutoff mechanism, I accurately target the final firing temperature of the kiln, while still maintaining a very personal and intimate connection with the rest of the firing process — checking the condition of the clay as it throws off its last bit of moisture, and following the rhythm of the clock as I slowly increase the intensity of the heating coils. And, when the kiln reaches its final temperature, glowing just short of “white heat”, the pyrometric cone does its job and triggers the switch to shut down the kiln. 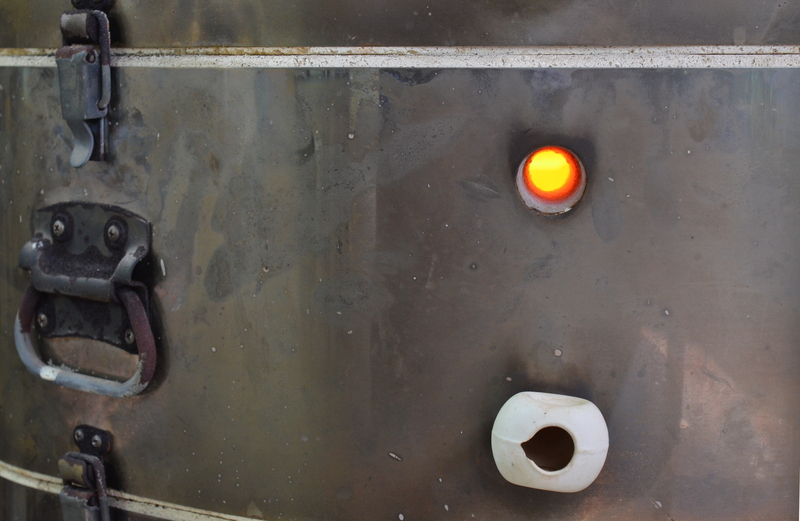 However, even after the electric current in the coils shuts down, the heat still glows brightly inside. The kiln is far too hot to open up for at least another ten or twelve hours. This is the fretting time… Small clicking and crackling noises emerge from the deep interior as the kiln and its contents slowly cool, but it’s too hot to peek inside. So… I wait, as potters have for thousands of years, wondering which pieces have walked well, and which may have stumbled; what cracks have open or closed, or where the glaze has run. Tomorrow will tell me if my little children have stood, transformed by their journey through the fire. Posted in Artistic Process, Blog and tagged ceramic, clay, fire, kiln, kilnsitter, process, transformation.